No matter what kind of GM/GMC vehicle you might have, the auto mechanics at Ervine’s Auto Repair & Grand Rapids Hybrid are ready, willing, and able to repair it. Our auto repair experts have seen GM/GMC vehicles from all over the Grand Rapids area for many years, so they’re nothing new to us. When you drop your GM/GMC vehicle’s keys into the hands of an auto repair technician, that technician needs to be someone you really trust. You have a GM/GMC vehicle because it’s reliable, so you need reliability from your auto mechanic, too. Here at Ervine’s Auto Repair & Grand Rapids Hybrid, we understand that when you step on the gas that GM/GMC vehicle needs to get up and go. You rely on your vehicle to do exactly what it should when it should. 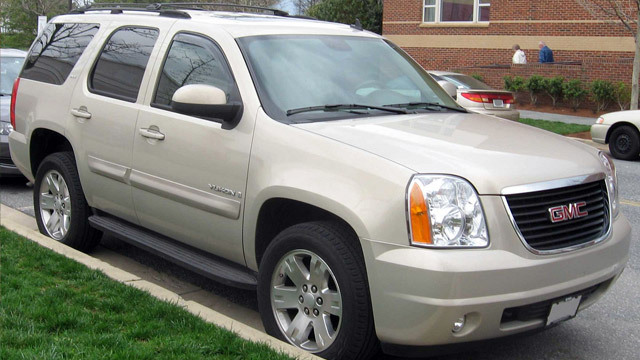 Why bring your GM/GMC vehicle into Ervine’s Auto Repair & Grand Rapids Hybrid? All the reasons would not fit into the back of a GM/GMC truck, but we can give you a few. First, we’re transparent with our pricing. That means when you come into pick up your GM/GMC vehicle after having it serviced, there aren’t a bunch of surprises. We have a solid reputation as evidenced by our many positive reviews. Second, we have a 3-year/36,000-mile warranty. Our waiting room is comfy, but our clients also appreciate our loaner cars and shuttle service. Third, we’ve been working on GM/GMC vehicles, as well as many others, in the Grand Rapids area for many years. The auto repair technicians at Ervine’s Auto Repair & Grand Rapids Hybrid would love to service your GM/GMC. Come in for the top-notch service that you deserve. Schedule an appointment today. Ervine’s Auto Repair & Grand Rapids Hybrid is located at 4311 Stafford SW, Grand Rapids, Michigan 49548. We’re open Monday - Friday from 8:00 AM - 5:00 PM. We look forward to your visit!